The Homes at River’s Edge is everything you’d hope for in a Grand Rapids abode. This five-story, river-front development rests on the north side of Grand Rapids and is anchored by some of the city’s most beautiful green space. 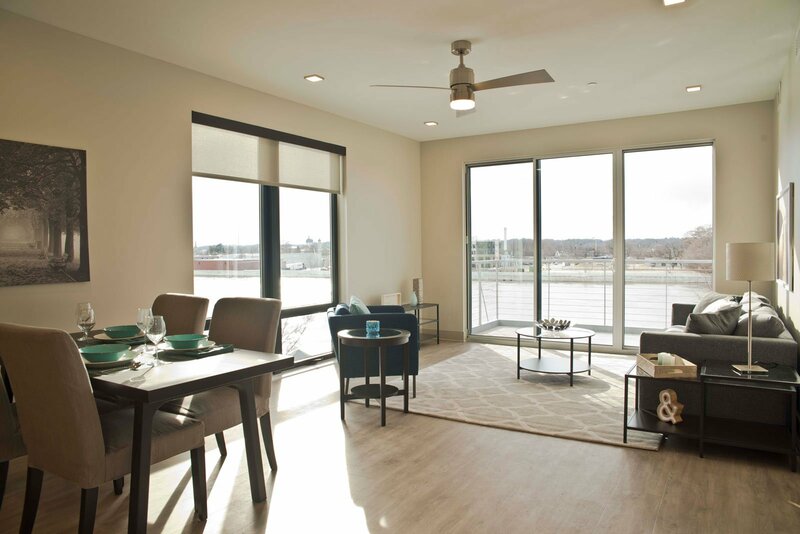 The spacious market-rate apartments boast views of the Grand River, immediate access to the highways, secured/covered parking and a locally-owned, modern American restaurant just steps below your home. The surrounding neighborhood amenities include the riverfront boardwalk, a variety of retail, fitness centers and award-winning restaurants. The Homes at River’s Edge inspires a new way of downtown living that blends urban aspirations with appreciation for the natural beauty that Grand Rapids offers.